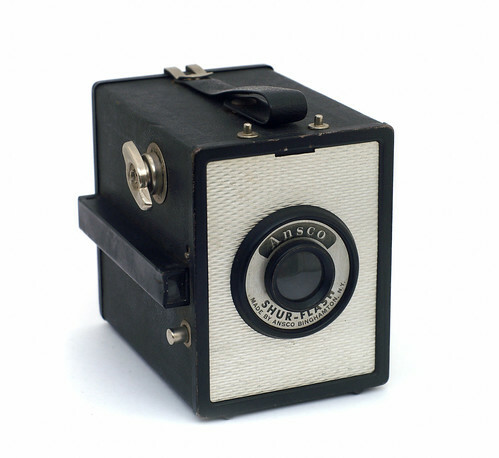 The Shur-Flash is a simple box camera for 120 film produced by Ansco in about 1953. ↑ McKeown, James M. and Joan C. McKeown's Price Guide to Antique and Classic Cameras, 12th Edition, 2005-2006. USA, Centennial Photo Service, 2004. ISBN 0-931838-40-1 (hardcover). ISBN 0-931838-41-X (softcover). Page 61. This page was last edited on 1 July 2017, at 03:32.